For professional CS:GO play, 2018 was a year that could be broadly characterised into two categories. At the top end of the scene, Astralis rise and then remained. The Danes battled titans and evolved the standard of what is required from the best CS:GO team in the world. Towards the tier two and three, the competition for LAN slots and a top twenty ranking intensified massively. More players were given the opportunity to play full-time, as simultaneously more opportunities opened up to play at international LANs. From this crucible of denser lower tiered play, but under the shadow of what made Astralis great came ENCE. They surged into the top twenty with big series wins over Mousesports (ranked #5) and NiP (#11) at ESL One Cologne 2018 and managed to maintain a place outside of the top ten until the end of the year with good results against other #11-20 sides. 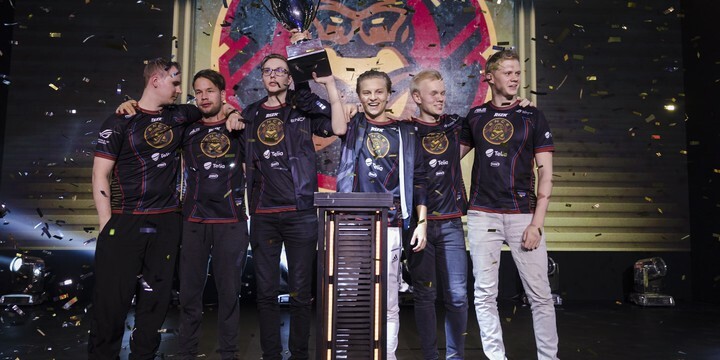 With this background, combined with winning the EU Minor, qualifying for IEM Katowice, and finally cracking HLTV’s top ten, ENCE are one of the hyped teams heading into the Major. Many had them pinned as one of the breakout sides of 2018 and early on in 2019 they will have a chance to convert talked-about potential into real results. There’s good reason to have them as a favourite to make it through the Challengers stage. The broader question though, will be around their potential Legends stage campaign. The last time we saw ENCE really go against the big boys in a series was a close Bo3 against FaZe at EPICENTER in October and ESL One Cologne all the way back in July. What’s different? Last year saw many teams emerge as blips on the community radar from the depths of lower tiered play. Few ever managed to remain there. AGO, Space Soldiers, Gambit, Complexity, and Kinguin all made cases for international recognition through earning a narrow set of big results. All of them, however, managed to do as much only in one, or two-off instances. ENCE, on the other hand, are proven. While they may have emerged quickly with results far above what was expected, their return to the mean wasn’t as drastic as many other low tier sides who had similar big upset results. They failed to qualify for the EU Minor directly after Cologne, but managed to steadily improve throughout the end of the year regardless. As was revealed in their devastating series losses to NiP and Optic in the EU Minor, the biggest point for improvement was going to be in their T-side play. Against more aggressive, disrespectful veteran players, ENCE’s defaults and early-round momentum was crushed. They looked fragile and out-of-their-depth in high-pressure matches. There was an expectation to perform that wasn’t there in Cologne and it was one of many weights that crushed them in one of their most important qualifiers to-date. Between that FACEIT London Minor and this IEM Katowice one though, there’s a stark difference. ENCE are now more battle-hardened than fresh-from-bootcamp. While they still employ an almost idealistically structured style and gameplan it isn’t ladened down by an overly slow feel or fragility. As was tested at StarSeries S6 in October,the T-side (and CT-side) of ENCE’s game has become more resolute. At StarSeries, ENCE managed to handle one of the most unreasonably aggressive, and pressuring teams in the world in Vega Squadron across a full five-game series. They also managed to score wins over Tyloo, Mousesports, Optic, and BIG on their way to lifting the trophy in Kiev. Big maps from Aerial and Aleksib added supporting braces to ENCE’s T-side while Sergej and allu closed-out rounds and found ridiculous multi-kills on the other side of the map. It’s fitting, in this sense, that their qualification for the major came through with a 2:0 win over North. The victory was characterised by punishing, constricting, non-linear play from ENCE that, in the end, managed to win a match-up against a side more-or-less equal in individual skill. They managed to maintain composure in a double overtime match and seemed comfortable in performing under the weight of a major slot. North threw everything but the kitchen sink at them in terms of variety of calling and looseness in the mid-round, but ENCE held strong. It was not the same side we had seen six months earlier. Without a brittle T-side, the influence of Astralis also seemed more apparent in the EU Minor. They lack the same bleeding edge innovation, resources, and depth as the Danes, but then again, who doesn’t? ENCE did, however, continue to show how many ways they can earn advantages on CT-side and the relative strength of their structure compared to other lower tiered entities. They have a clearly articulated idea of what to do on the server, and in-general tend to be able to execute that. When looking at the complexity and strength of their overall game compared to those of teams ranked #11-20, ENCE stands out among the tier two pack. The foundation of their rise isn’t just on the skill of someone like Sergej, it’s more-so on their ability to play greater than the sum of their parts, while having very strong parts from the outset. If Astralis are kings of the scene at-large, then ENCE, molded after the elements of their reign, are the princes of their slice of the tier two to three. Visually, while they look impressive against teams outside the top ten, in terms of big series results, they are admittedly lacking. It’s this gap between eye-test and quality of opposition where the mystery and juiciness lies in trying to evaluate their IEM Katowice run. They are definitely a better, more well-rounded team with experience and improved mindset than when they last stepped onto a big international stage. But they’ve only earned acclaim as such through beating teams in series outside the top ten. IEM Katowice, therefore, will be the true validating stamp on where ENCE stand as a team. The sign-posts for big upset results and a deeper run than what most expect are there, but these are grounded in the relative context of their opposition so-far. Many of the teams they will come-up against in Katowice will be freshly minted with optimistic roster changes. ENCE’s battle-hardened, by-the-book system will have to overcome it’s fair share of overly confident honeymoon form from teams far higher in the rankings. The Fins have overcome much adversity to get into this current position, but will have to transcend far more in order to cement themselves in it. The competition doesn’t get easier the higher you climb but you are given more opportunity to evolve your game in-the-process. 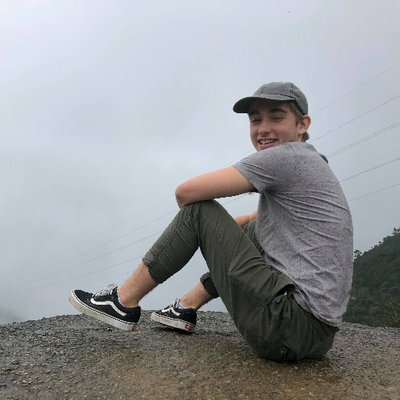 ENCE can be expected to make the Legends stage, but their results in that crucible will be very much down to their fibre as a team. And in seeing whether this breaks or holds we will also learn the framework for evaluating how their 2019 will take place.